Silver a better investment than Gold for 2019? 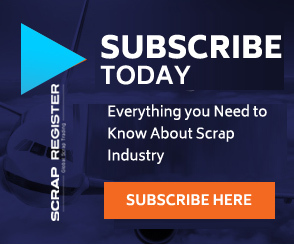 NEW YORK (Scrap Register): Silver has not been the shining metal that TD Securities was expecting it to be in 2018, but the firm is not giving up on the precious metal as analysts see it outperforming gold in 2019. In an interview with Kitco News during the London Bullion Market Association’s 2018 conference, Bart Melek, head of commodity strategy at TDS, said there have been several factors conspiring against the entire precious-metal sector, such as rising interest rates, a strong U.S. dollar and a weaker yuan. For silver specifically, Melek added that the metal was further weighed down by concerns that the global economy will be hurt because of a worldwide trade war. “Right now we think the market is underpricing silver’s potential,” he said. Melek added said that while the trade war between China and the U.S. “can still get ugly,” his firm still sees positive economic growth next year, which should support silver prices, boosting the metal’s industrial demand. Melek said that TDS sees silver prices pushing to $17 an ounce by the end of next year, representing a gain of 15.5% from current prices; December silver futures last traded at $14.70 an ounce, up more than 2% on the day. Meanwhile, the Canadian bank sees gold prices ending next year at $1,325 an ounce, a gain of 7.5% from current prices. December gold futures last traded at $1,232.90 an ounce, up nearly 1.5% on the day. Melek’s comments come as gold continues to outperform silver with the gold-silver ratio holding near its highest level in more than a decade. However, the grey metal appears to be building some momentum, seeing its best day in nearly two years. Melek said that a rally in gold prices should also support silver, which has double the volatility compared to the yellow metal. He added that TDS is optimistic about gold as equity markets fell into correction territory last month, losing almost 7%.